Dr A. K Debdas MD, FRCOG, FRCS is a gynaecologist who has helped several thousands of mothers through their pregnancies in his career spanning 55 years. 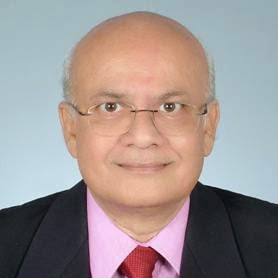 In his illustrious career he has led FOGSI as Vice-president, ISOPARB as President, the Practical Obstetrics Committee as Chairman and the Indian College of Obstetrics and Gynaecology as Chairman. While he constantly insists on the fact that pregnancy is not a disease and must be received with joy and positivity – he is also very insistent upon safety measures during pregnancy. 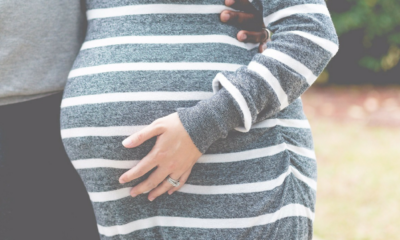 In this article he outlines a set of safe pregnancy tips for each trimester of your pregnancy – starting from the time you plan to conceive. One of the most important things to remember about pregnancy is – that it is virtually impossible to know that you are pregnant as soon as the sperm meets the ovum. In most cases, a pregnancy is suspected when a menstrual period is missed. And in most cases, the first menstrual period is missed almost 15 days after conception. These 15 days when you are unaware of your pregnancy – are very crucial for your baby. These 15 days are the time when the core cells of your baby are formed – which then go on to make all the organs in our baby’s body. The problem is that no one can predict when conception will happen and so it is almost impossible to be cautious during the crucial first 15 days. To circumvent this problem – it is now recommended that if you are planning a pregnancy – you consult with a doctor – at least 3 months before you plan conception so that your body can be prepared for baby making. If you are overweight, reduce weight. If you smoke or drink – STOP – at once. Avoid places where you may be a victim of passive smoking as well. Eat hygienic food to avoid going down with stomach infections and food poisoning. If you have a cat – avoid handling cat litter. Avoid eating undercooked meat. Barbecued meats and meats cooked in the tandoor may be undercooked at times and are best avoided. Eat a healthy balanced diet – rich in Iron and Calcium. Reduce your caffeine intake. Drink fewer cups of coffee and tea and completely avoid carbonated beverages that promise to wake you up and energize you. Begin exercising if you don’t. Start something like a 30 minute leisurely walk every day. If you are into strenuous exercise you should tone it down a bit. Try to avoid using pesticides and cleaning agents. Wear gloves and masks when you use them. Do not take any medicine without consulting your doctor and letting them know that you are attempting to conceive. Many drugs can cause serious congenital anomalies. The average duration of pregnancy is usually 9 months and from the baby building point of view – these 9 months can be divided into three parts which are then called the three trimesters. Each trimester has three months. And so the duration of the pregnancy can be split up into the first trimester, the second trimester and the third trimester. The first trimester begins from the moment the sperm unites with the ovum. For the first one month of the first trimester – you may not even be aware that you are pregnant. In fact, through most of the first trimester of pregnancy – you may just feel tired and uncomfortable and nauseated and not even have a baby bump to show. But during this time the foundations of the spinal cord and the brain are being laid. And it is therefore a time to be extremely cautious. Eat a balanced diet – remember that each cell of your baby’s body needs proteins, carbohydrates, fats, vitamins and minerals in adequate amounts to turn out perfect.. Do not go on a diet. Do not skip meals. All the nutrients must be available 24×7 because baby building happens all the time You must eat breakfast. And choose healthy snacks through the day. If you feel nauseated and sick – eat in small quantities and only what you can keep down. The nausea is the way your body ensures that you become careful about what you eat. Avoid junk food. Packaged processed food and junk food are loaded with preservatives. And the chemicals in these preservatives may not be very good for your baby. Eat high fibre food. You don’t want constipation to take away the joy of your pregnancy. Take your Vitamin supplements as recommended by the doctor. It is important to keep taking Folic Acid, B12, B6 religiously because the contribute to the baby’s nerves and brain. Watch out for any sign of bleeding. That is an emergency. Rush to the hospital immediately. Don’t lift heavy objects as far as possible. 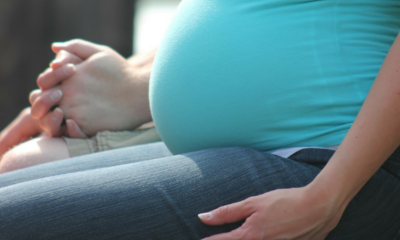 In the second trimester of pregnancy – your baby rapidly adds on limbs, fingers and toes. Organs that had been started in the first trimester are completed and perfected so that they can start functioning. And all this results in your baby growing big enough to pop up into your abdomen and finally give you a visible and palpable baby bump. Plan your day to avoid anxiety. Stay far away from family squabbles and fights. Mild exercise like walking is good for you. Listen to your favourite music. Read for fun. Rest in the afternoon – give your back a break. Don’t eat spicy and oily food. Don’t strain yourself. Exercise within your comfort zone. Do not miss any Antenatal check-up. Do not take supplements unless recommended by your doctor. Avoid long bus or car journey. Air travel not exceeding 2 hours is OK.
Avoid driving from after 20th week of pregnancy. Watch out for bleeding – that is an emergency – go to the hospital immediately. In the third trimester of pregnancy – your baby grows rapidly and reaches the final birth weight and size. The organs get completed and some of them start practicing their functions. 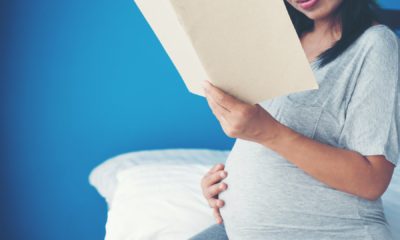 And then finally – towards the end of the third trimester – your baby starts moving towards the birth canal and settling into your pelvis in order to prepare for the process of birthing. The health and safety of the mother and the baby usually gains the maximum focus in the third trimester of pregnancy as the date for delivery comes closer. And this is actually very important. Register with the hospital where you plan to deliver. You will get used to the place and this will reduce your anxiety. Be aware of the movement the baby – a moving indicates a baby who is comfortable and healthy. Don’t drive because driving is difficult with your enlarged tummy. Do not panic if you suffer from acidity, indigestion and cramps in legs, low back pain – these are normal at this time..
Do not take any health supplements unless they are prescribed by your doctor. Every moment of your pregnancy is precious. Cherish every moment. Stay safe through your pregnancy by taking care of your health.